Capitalizing on the recent relaunch of the main Star Wars title, Marvel is building a linewide franchise around stories from a certain galaxy far, far away. First on the expansion roster is a solo series spotlighting the central figure of the six feature-length films, Darth Vader. One of the most memorably dramatic and ominous presences on the greater pop culture landscape, the (thankfully) former Anakin Skywalker is also on a very short list of characters to exist without any true in-depth attention. Writer Kieron Gillen and artist Salvador Larroca are seeing to it justice is done to the oversight. 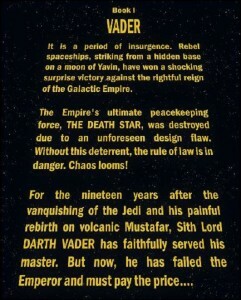 Although Vader informs the overall narrative of Episodes One through Six like no other, his actual character and motivations lie mostly beneath the surface. Sure, there’s the redemption at the climax of Return of the Jedi and sad little kid moments in Phantom Menace but by and large he is still an unwritten enigma. These are key points that this series wastes no time drilling down as it captures the Dark Lord at his most interesting personal juncture, metaphorically and literally exploring the dichotomy as its central thesis. 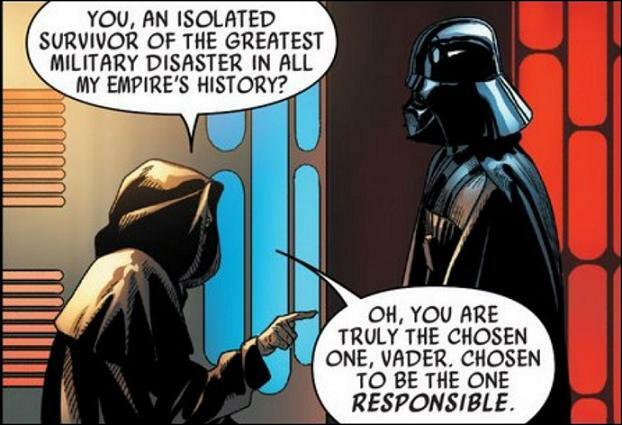 Vader is a character who wears two distinct faces. 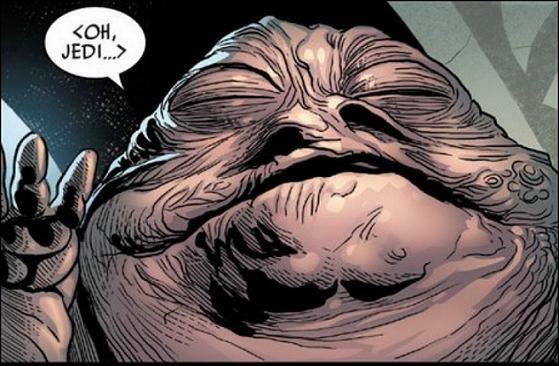 There’s the imposing albeit heavy-breathing black-cloaked badass that can choke man (or Hutt) from across a room and then there’s the knowingly broken and compromised human. The two main chapters of this installment examine this contrast and how the intersection creates a more well-rounded, yet still mysterious, personality. The forward half of the thirty-page offering sets amazing tone. Like many scenes in Star Wars’ other small and big screen incarnations, there are nods galore to in-story motifs. Despite the familiar settings, there is also ample room for new and interesting interactions among the old cast. It is here that Vader commits a cardinal sin, betraying his emotional core as uneasy business ally Jabba the Hutt broaches a taboo subject. It is a vulnerability he does not wear well, needlessly escalating a situation otherwise in his control. Points certainly are awarded to color artist Edgar Delgado for work above and beyond during this passage as highlighting a protagonist dressed in all black in a low-lit dungeon-like environment is probably not the easiest assignment. By comparison, lightsaber slashes and laser blasts are super-accentuated in their deadly arcs. 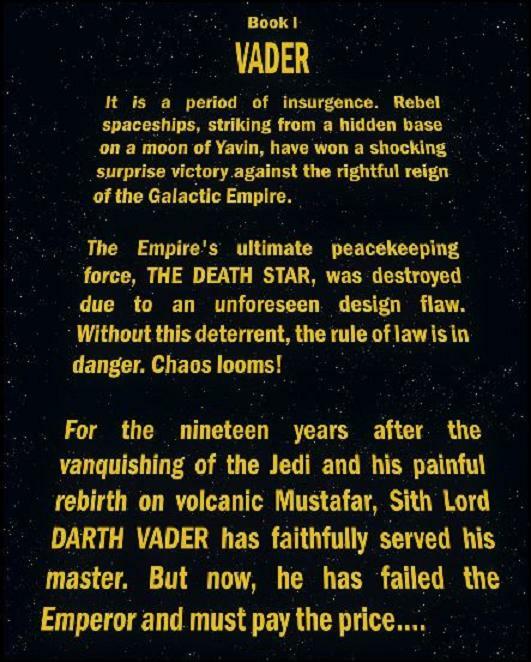 While the next section is in many ways the inverse of Vader’s actions in Jabba’s Palace, it also heads into some uncharted water. 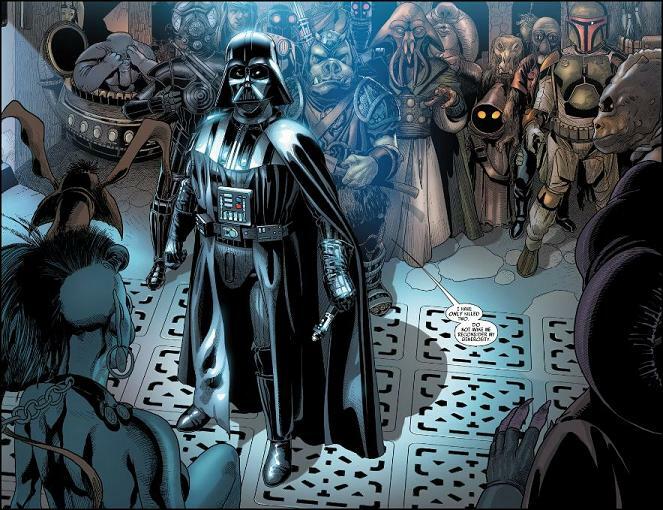 As a mythos, Star Wars traditionally employs a fairly straight-forward approach to its delivery. The franchise’s opening gambit literally centers on watching a smaller spaceship getting overtaken by a larger one and just dumping the audience into it as is. It’s like a shark- ever moving forward. Therefore, the use of the flashback as a narrative device is a relatively foreign concept. That said, it’s uncertain how well this flies. Sure, the way Gillen structures the issue, it’s clear the opening and closing beats need to be what they are but the transition into the “before” may throw the purist on a conceptual level. Lightning isn’t all this guy zings! For all this issue solidly connects, though, there are a few bumps. The first occurs in Jabba’s Palace and involves the infamous secret trap door in the floor of the main audience chamber leading to the monster pit below. Waiting for Vader to step into place, Jabba is eager to spring his trap. However, Vader sensing something amiss, steps off the trigger plate. 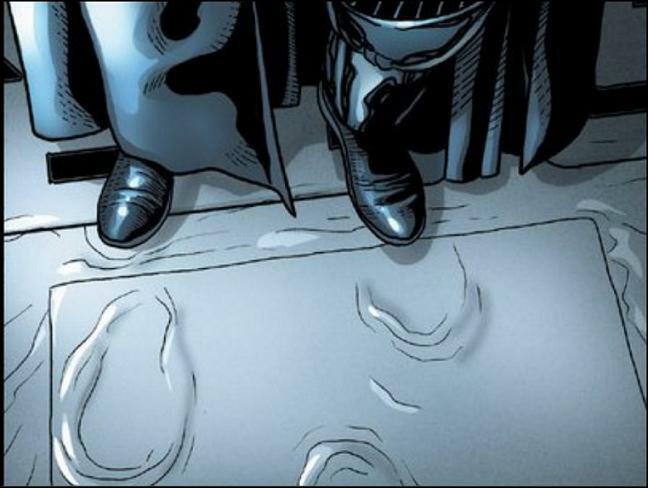 This alone isn’t confusing but how Larroca illustrates the action is surprisingly unclear as the significance of Vader’s lingering “ghost footprints” panels later goes without mention. It may have to do with Gillen’s script directions as there’s a particularly weird bit of dialogue toward the end as well. The writer introduces an all-new bounty hunter alongside the ubiquitous Boba Fett without the aid of a proper identifying caption. As such, the reader is left to their own devices to discern from context the character’s name. However, before that intellectual divide is crossed, Fett delivers a line that is absolutely a grammatical headscratcher. Once it becomes clear whom the actual pronoun of the sentence is, things make more sense but damned if you don’t read it four times questioning everything you ever learned in English class. Minor nitpicks aside, the series is off to a good start delivering more good than bad. Judging from the years of work he put into (Kid) Loki, expectations are high that Gillen must have quite the long game planned. From Marvel’s stable, he would be best to voice it. However, with so many of the character’s bigger defining moments already accounted for, it will be most interesting to see what future installments hold.